In this week's Spot, Sadhguru explains the origins of Suryanamaskar, and how it was derived from "Suryakriya", a vast and powerful form of Hata Yoga. 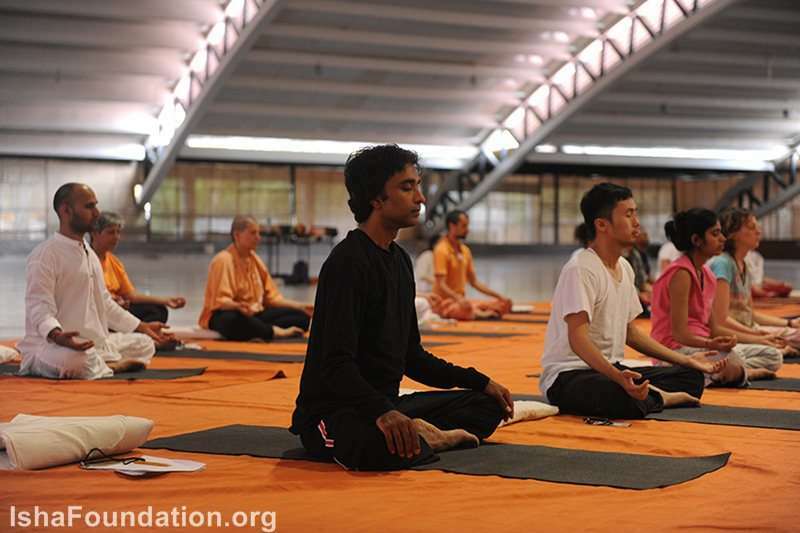 "Suryakriya was reduced to Suryanamaskar when people decided to teach it to a larger public." The Isha Yoga Center, Sadhguru writes, will offer Suryakriya in the near future. "It is important that we bring back classical yoga as it was. 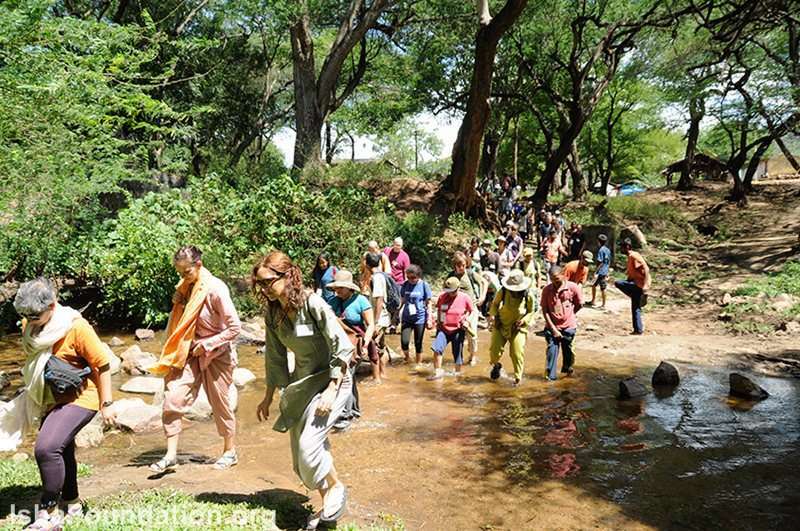 So that is one more thing to do for us, and in the next few years, it will become a major activity, an important element of the Isha Yoga Center. In fact, we will be teaching it as Suryakriya." On Guru Purnima, we inaugurated the Hata Yoga Teacher Training School in the Adiyogi Alayam. 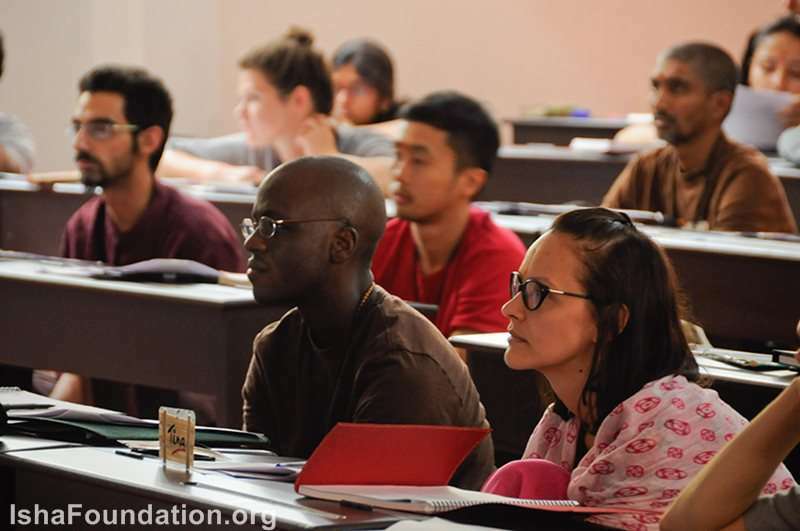 Forty-five people, largely from the U.S., but also a few from Eastern Europe, Africa and India have come to take part in this 21-week program. The word “ha” means sun; “ta” means moon. Without the sun and the moon, there is no Hata Yoga. With the Hata Yoga school, we will start teaching a certain form of sun-related practice which is very much like Suryanamaskar, but is called “Suryakriya” because it involves a certain level of breath and powerful activation of energy . The postures in Suryanamaskar are preparatory in nature if you do it one way, or balancing in nature between the Ida and Pingala. Largely, it is called Suryanamaskar because it is mainly to activate the solar plexus, to raise the “samat prana” or the solar heat in the system. When we say “solar” it is not just symbolic. All heat that you experience on this planet is essentially from the sun -- stored and released in many ways. Or, hydrocarbons have formed the way they have formed essentially because they are sun-baked. If you take a piece of wood and burn it, it is only releasing solar energy. If the solar energy is taken away, the whole planet will freeze into solid ice. Everything is run by solar power. You may think we are generating power by thermal or by gas, but everything is happening because of solar power. The only exception could be the breaking of the atom. That is not solar and that is why it is considered the most effective and dangerous because you are not using the normal powerhouse of this system, which is the sun. When we activate the sun in the system, the body begins to glow and shine. If you have certain types of problems which manifest, usually in the form of excess mucus in the system -- not just in your nasal passages, but all over -- this can become balanced. For one who is doing Suryanamaskar, glandular secretions and mucus levels will be very easily balanced and in good shape, and this determines a lot of things about you -- not just your physical health. Your physical health, psychological health and spiritual possibility are determined by this, depending upon how much solar energy is within you. Or in other words, how balanced your secretions are. If your glandular secretions are slightly imbalanced, it is very hard to even sit and listen, forget about meditating or doing something else. It will make you feel crazy because the chemistry will go wonky. Suryanamaskar is one of the simplest and most effective sadhanas to bring that balance. Suryakriya was reduced to Suryanamaskar when people decided to teach it to a larger public. When you decide to teach it to a larger public, where it is very difficult to follow up and correct, you take away some powerful elements from it because powerful elements also come with the possibility that if people do it improperly, it could cause harm. So you make it a little watered down, but the application is wide. You can apply it to larger societies with no follow up which makes it more practical. But wherever people are doing it in close circles, where we can easily follow up, we will do it in a completely different way. Hata Yoga is a way of aligning your system to the cosmic geometry, getting your own geometry right so that you are just a replica of the cosmic geometry. It needs to be done with enormous care. If you are far away from this geometry, no problem. But as you get closer, you have to be more careful about how you do it. If your practice becomes very powerful, then we have to exercise extreme care to ensure that it is spot-on, otherwise other things will happen. And Suryakriya is a tremendous possibility if you know how to use it. Different dimensions of kriyas and asanas to activate the solar power within have always been done from the time of Adiyogi. Adiyogi himself taught methods, different postures to activate the sun. Somewhere in Mahabharat, there is a mention of Krishna paying his salutations to the sun. 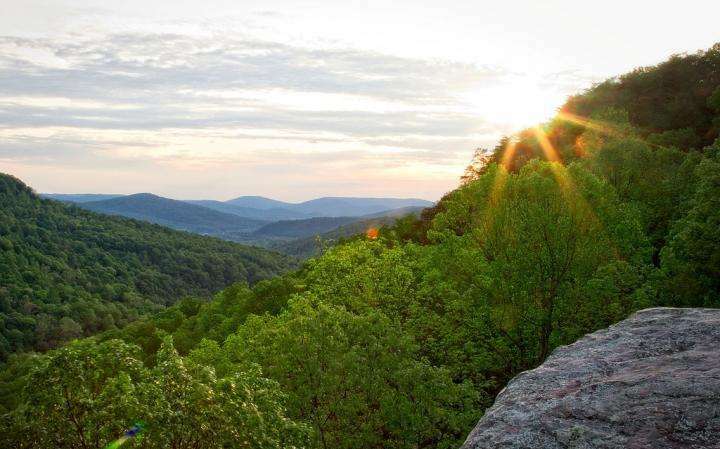 Somebody described it as a strange practice, something physical he would do every day in the morning -- paying gratitude to the sun and seeking his guidance on a daily basis when the sun comes up. He himself was doing some kind of Suryakriya. What form he did we do not know. But I can easily put forth at least 20 different forms, and he must have been doing one of them, or slight modifications of them. There is no other way you could do it. Until now, we have never really taught serious Hata Yoga at the Isha Yoga Center, though I grew up in the stables of Hata Yoga. We only used it as a preparatory step for Samyama meditations; we just put together 18 asanas as a preparatory step for Samyama. I thought I would avoid it, but about three years ago, after one of my visits to California, I decided we must teach Hata Yoga because it is taking on such absolutely weird forms. It is important that we bring back classical yoga as it was. So that is one more thing to do for us, and in the next few years, it will become a major activity, an important element of the Isha Yoga Center. In fact, we will be teaching it as Suryakriya. I am thinking we will run 21-day Hata Yoga programs in the ashram, maybe once in two or three months, and we will start somewhere in March 2013, maybe after Mahashivratri. This is just for learning to practice, not to teach. We have been teaching it in two-and-a-half days right now, but we want to teach Hata Yoga over a period of 21 days. For those of you, whether you speak English or Tamil, who wish to be in a 21-day Hata Yoga program, you must plan 2013 so that you have 21 days of sadhana and preparation to perfect your Hata Yoga in a certain way, a powerful system to practice. But only those who are going to continue to practice should come; otherwise don't come and take our lives because it takes enormous effort to teach somebody. Hata Yoga can be a complete spiritual process by itself. If you do one thing properly, it is enough. The left and right energy channels. blessed r those who r in this program. More than 30 years I have search. Now I have found The Best. You have shown me The Way. Thank you Sadhguru. I hope more Chinese can benefit from your Teachings. We are waiting for 2013 when U will start this 21 day Hatha Yoga Classes. tripurasundari with sadhguru's grace only . 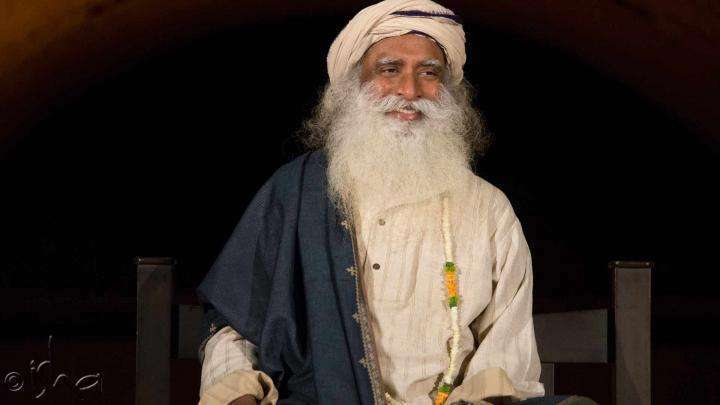 You are truly great Sadhguru! I only hope by your grace I too will be able to participate in the program once it is underway. Victory to all through Sadhguru's grace. QUESTION master: in midst of a kundalini release which is cool wind crawling around eyes and heat in forehead and arms at time - suggested practice or book reference ? why there are different types of Suryanamaskar where some asanas are reversed? What is the Suryanamaskar? Pranams. 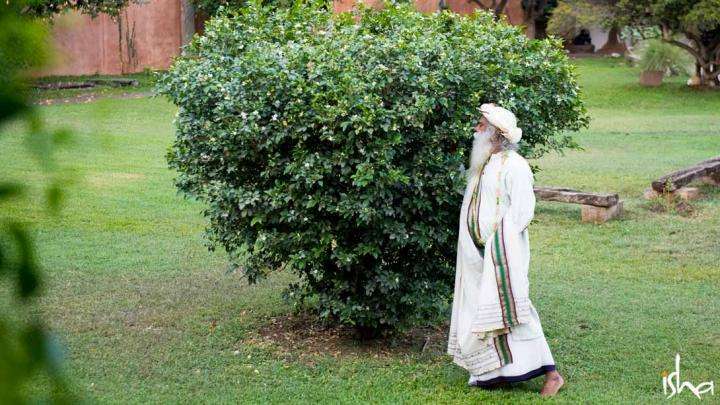 Who will guide us as Sadhguru does it, with you I pray everything should be a possibility. Thank you Sadhguru for taking us closer to the core. We are blessed to have you in our living time. Your ability to constantly establish a path between our material world intellect and the real core fundamental truth of life has always attracted me with clarity to any offering of yours.